It’s really funny. On the stretch of road within a few miles of Siena college (where I went to school), the sub shop options have blown up. With the developments of Jimmy Johns and Firehouse Subs on Route 9 in Latham, Siena College students don’t have to resort to the subpar Subway or campus dining options, which may or may not be better than it was when I was there. 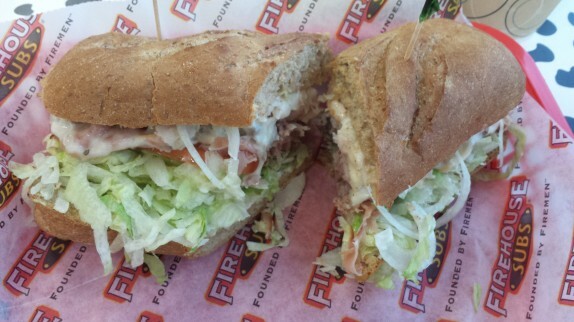 Firehouse Subs is located just north of the Latham circle right next to Red Robin. On this occasion, we met up with my buddy MetalFrog who vouched for the chili. 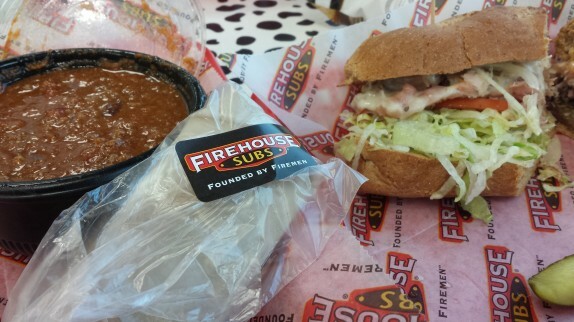 I decided to try the chili and to try their signature sandwich, the Firehouse Hero (Premium roast beef, smoked turkey breast, Virginia honey ham, and melted provolone, served Fully Involved). 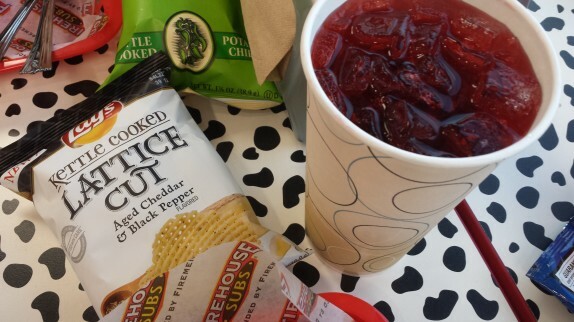 With chips and a soda, my total came to around $15. 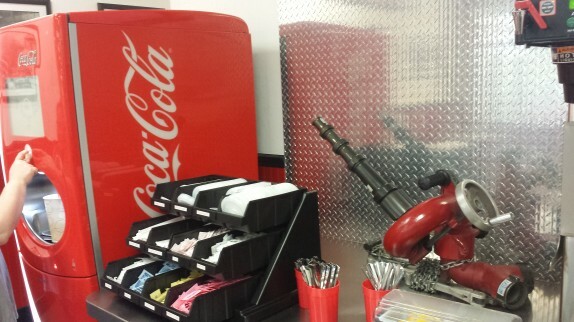 The electronic Coca Cola station built on ink jet printer technology features a special Cherry Lime Aid (with light version available) that is a Firehouse Subs exclusive. For my first cup of this nectar of the Gods, I didn’t fully read the instructions and had no lime. 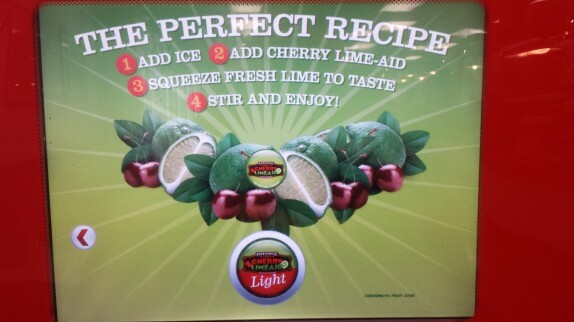 Upon getting a refill, I added the fresh lime and regretted it; it was perfect without it. 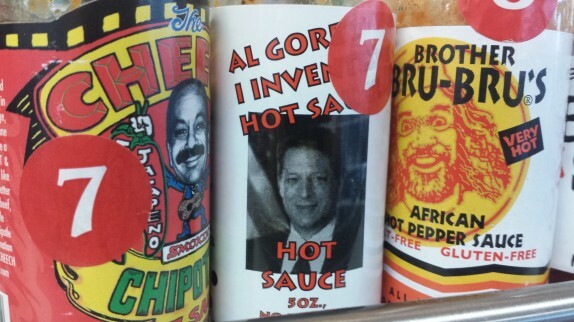 In the front, they have a bunch of hot sauces for you to use. I found one that had an Al Gore joke that was right up my alley. When they say their sandwiches are served “Fully involved” they mean that it comes with mayo, deli mustard, lettuce, tomato, onion, and a kosher dill pickle on the side. My sandwich was served steamed, which makes the experience more like DiBella’s than Jimmy Johns or Subway. The sandwich is a good size, somewhere between the 6 inch and footlong that Subway serves. I think that because the meats are steamed, they lose a little volume, making it seem like there isn’t much substance on the sandwich. The flavors of the roast beef and turkey got kind of lost, probably also because of the steaming, so I’d probably request for them to not steam the meat for me in the future. The whole wheat bread is flavorful and has a good crumb. It’s definitely much more flavorful than Subway whole wheat. MetalFrog was right about the chili. It was pretty awesome. 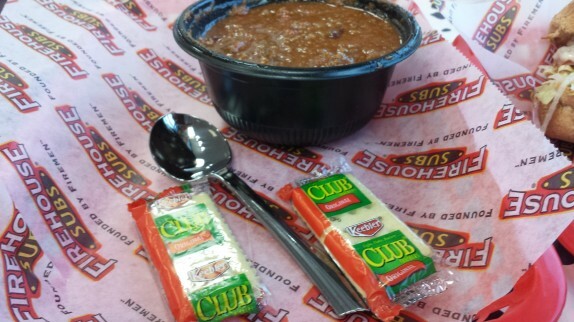 Just like the chili from a real Firehouse (they do make chili in Firehouses, right?) 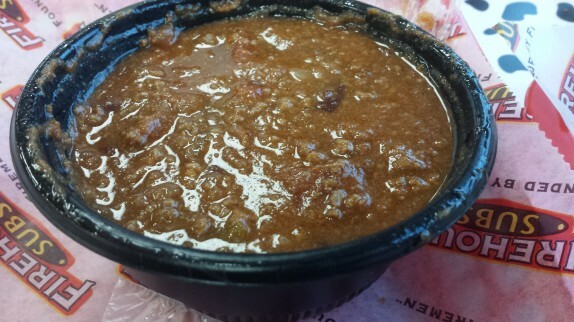 It’s a tomato based chili that is loaded with ground beef and kidney beans. The chili pepper and cumin really came through, and, even though it wasn’t particularly spicy, I wasn’t at all compelled to add any of the hot sauces they had. I also wasn’t compelled to use the crackers that came with the chili; it really didn’t need it. I had ordered mine with cheese, so I had to ask one of the employees if I could have some to add to the chili myself; they obliged, but that was a somewhat annoying and awkward exchange. While we were there, the lady in front of me was absolutely mesmerized by pretty much everything about this place, especially the Coca Cola machine. While I was waiting for her to stop gawking over it, I picked up a cool little plastic fireman’s hat to wear while I ate my sub. When she saw me with it, she asked where I got it, and became way too excited when I handed her one from the stack. What a character! 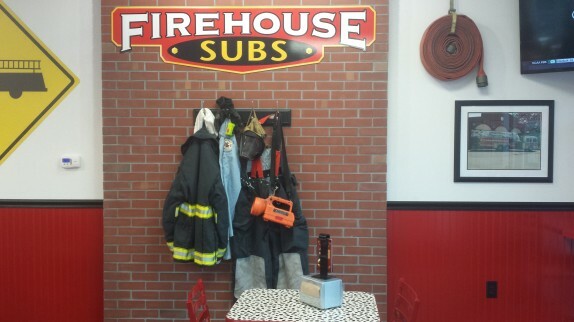 Ate at a Firehouse Subs in Atlanta about 6 years ago and remember it being much better than subway and wished we had one in Albany. But with Genoa about a mile south on Rte 9 and Roma pretty much around the corner, can’t imagine I would be stopping in to try it out. I’m very familiar with both Roma and Genoa, and I spent a decent portion of time working in a similar business owned by my family, so I understand what you’re saying. Firehouse doesn’t really compare in terms of quality and even the type of sandwich, but it’s a brand that I had no familiarity with, and I’m always curious to see what else is out there. Steaming: they steam the meat, or the whole sub, or what? It is supposed to do what? Is it a practice done in a lot of places (that I don’t eat at)? Sorry, that threw me. They steam the meat and cheese then add it to the bread + toppings. I think it’s mainly to melt the cheese and warm the meat. Dibellas does this too. I’m not a huge fan. Odd to me. I was thinking at first it would be a good way to extend life of old fillings. 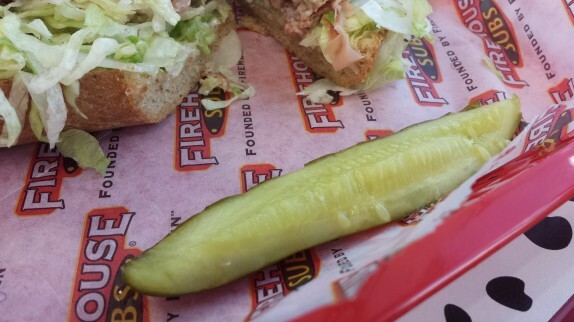 Just like toasting the bun, unless asked for. I’m too cynical. Thanks! I have to say the “STEAMING” of the meat was not odd to me, in fact it made the meat taste so different. If we are comparing the amount of meat you get from dibella’s you can’t compare dibellas just gives you more bread!! 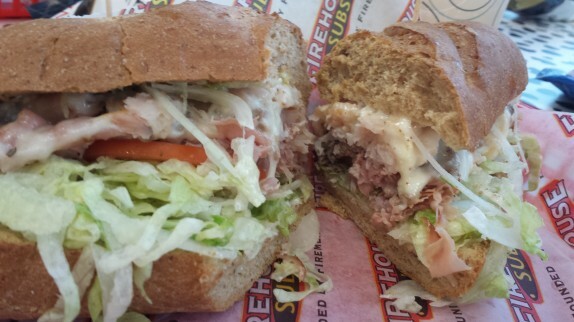 try buying a small sub from each place and really looking at the meat you get.